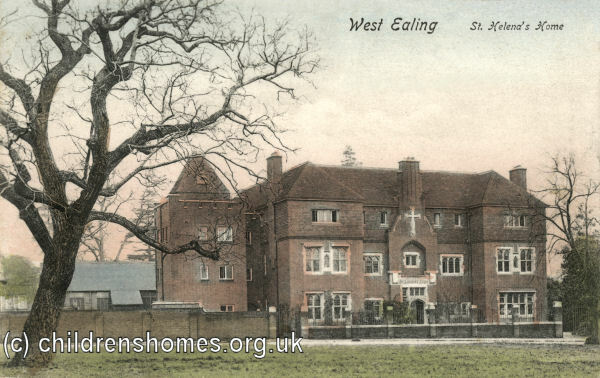 St Helena's Home, at Drayton Green, West Ealing, was founded in 1884 by Rev. R.T. West, Vicar of St Magdalene's Paddington, to house and reform 'unfallen' female discharged prisoners. It was primarily intended for convicted young women on their discharge from Millbank Prison, who were received free of charge. For those sent from other prisons, a payment of £5 was expected; or for unconvicted cases, sent privately, 5s. per week. In 1890, the Home could occupy 18 inmates, aged from 15 to 30, who were expected to remain for one year. The residents were occupied in needlework and laundry work. 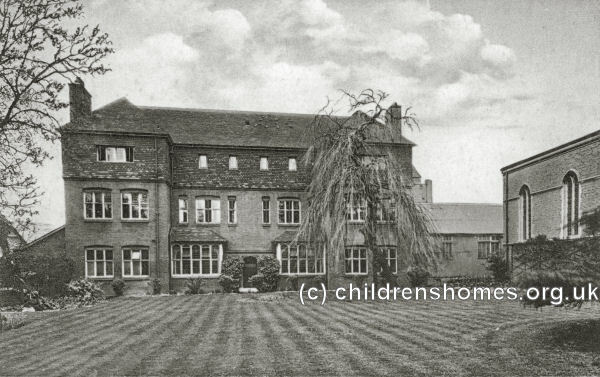 In 1897, the Home moved to larger premises at 51 Drayton Green where up to 50 inmates could be accommodated. Management of the Home was by Sisters from the Anglican Community of St Mary the Virgin, Wantage. In 1912, the capacity of the Home had increased to 40 places, with entrants now required to be aged from 15 to 25 and remain for two years. A weekly charge of 5s. was made for each inmate. In 1930, the Home's object was stated as being to reclaim girls or women who steal, or have been in the Police Courts for the first offence of that kind. By 1939, the Home was described as being for girls aged from 14 to 20 who needed training and discipline, with probation cases being accepted. A charge of 10s. 6d. a week was now required for each inmate, or, in special cases, an entrance fee. In the 1950s, the establishment became a Remand Home under the control of Middlesex County Council. In more recent times, the property was used as residential accommodation by the Chinese Embassy. The building was finally demolished in around 2010. Modern flats now occupy the site. Former St Helena's Home, 2008.